This family-friendly Kuala Lumpur hotel is located in the shopping district, within a 10-minute walk of Aquaria KLCC, KLCC Park and Kuala Lumpur Convention Centre. Petronas Twin Towers and Pavilion Kuala Lumpur are also within 15 minutes. Raja Chulan Station is 18 minutes by foot and KLCC Station is 20 minutes. 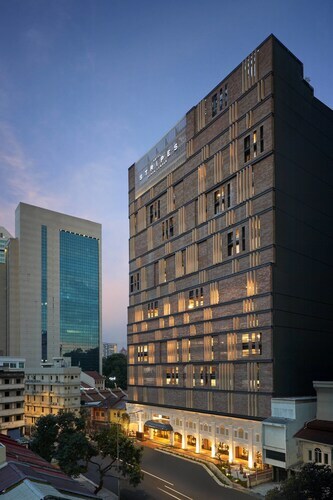 Located in Kuala Lumpur City Centre, this luxury hotel is within 1 mile (2 km) of Maju Junction Mall, Petronas Twin Towers and Kuala Lumpur Convention Centre. KLCC Park and Pavilion Kuala Lumpur are also within 1 mile (2 km). Bukit Nanas Station is only a 4-minute walk and Dang Wangi Station is 5 minutes. 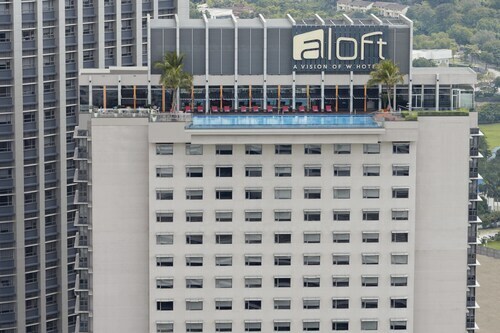 This family-friendly Kuala Lumpur hotel is located on the boardwalk, just steps away from NU Sentral and Kuala Lumpur Sentral. Petaling Street and Mid Valley Mega Mall are also within 2 miles (3 km). Kuala Lumpur Sentral Station is only a 2-minute walk and KL Sentral Station is 8 minutes. 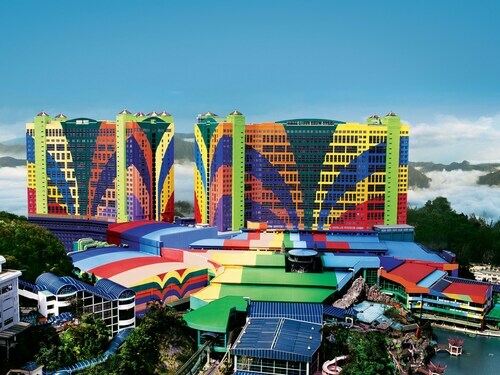 Located in the heart of Genting Highlands, this spa hotel is steps from Arena of Stars and Genting Highlands Theme Park. Chin Swee Cave Temple is 2.1 mi (3.4 km) away. 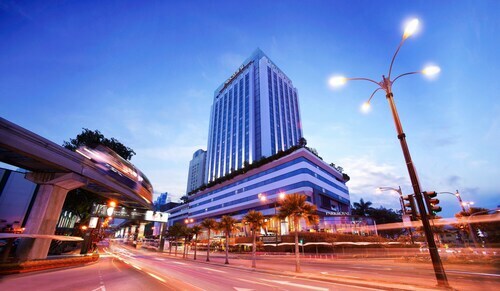 Situated in Kuala Lumpur, this hotel is within a 10-minute walk of Kuala Lumpur Sentral and NU Sentral. National Mosque and Central Market are also within 1 mile (2 km). KL Sentral Station is only a 2-minute walk and Tun Sambanthan Station is 5 minutes. 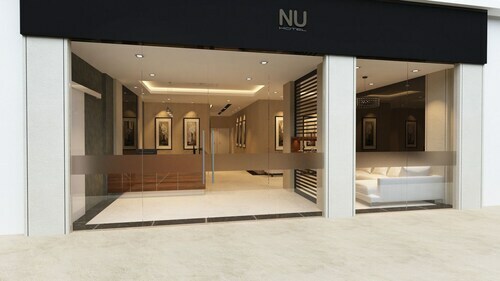 Located in the heart of Kuala Lumpur, this hotel is steps away from NU Sentral and Kuala Lumpur Sentral. Petaling Street and National Mosque are also within 1 mile (2 km). KL Sentral Station is only a 2-minute walk and Tun Sambanthan Station is 7 minutes. 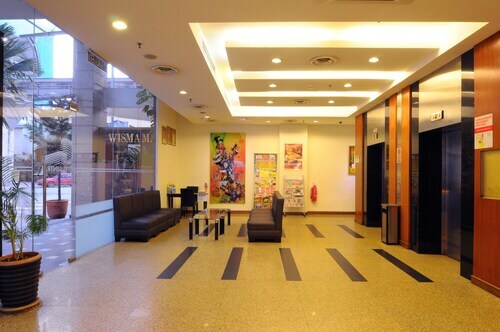 Located in Golden Triangle, this hotel is within a 5-minute walk of Central Market and Petaling Street. Jamek Mosque and Merdeka Square are also within 10 minutes. Kuala Lumpur Pasar Seni Station is only a 3-minute walk and Kuala Lumpur Masjid Jamek Station is 8 minutes. This family-friendly Kuala Lumpur resort is located in the shopping district, within a 15-minute walk of Jalan Alor, Jamek Mosque and Lot 10 Shopping Centre. 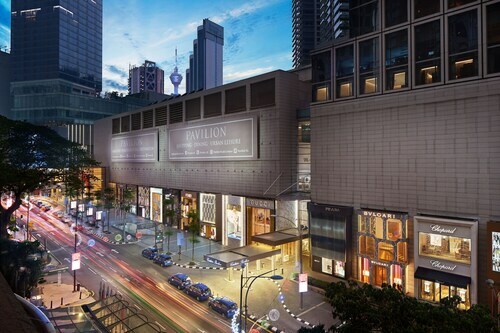 Petaling Street and Pavilion Kuala Lumpur are also within 1 mile (2 km). Kuala Lumpur Masjid Jamek Station is 12 minutes by foot and Raja Chulan Station is 15 minutes. 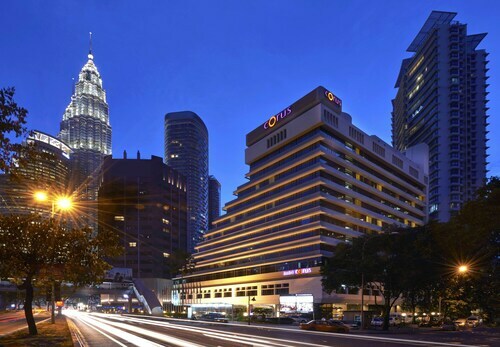 This family-friendly Kuala Lumpur hotel is located in the entertainment district, within a 10-minute walk of Petronas Twin Towers and Kuala Lumpur Convention Centre. KLCC Park and Suria KLCC Shopping Centre are also within 15 minutes. KLCC Station is 12 minutes by foot and Raja Chulan Station is 19 minutes. 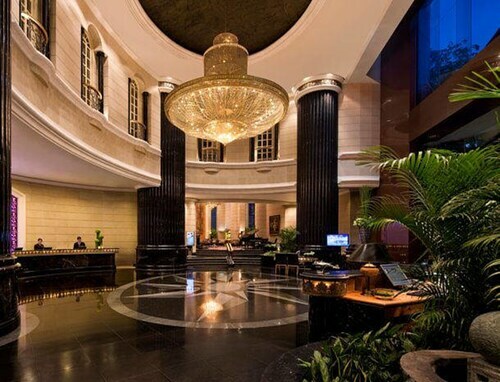 Located in the heart of Kuala Lumpur, this luxury resort is within 1 mile (2 km) of Ampang Park, Royal Thai Embassy and Gleneagles Kuala Lumpur. Petronas Twin Towers and KLCC Park are also within 2 miles (3 km). Ampang Park Station is 18 minutes by foot and Jelatek Station is 26 minutes. So, you're thinking about a holiday to Kuala Lumpur? 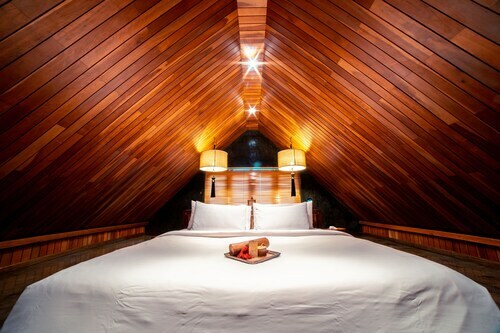 If you'd like to find accommodation that's within a stone's throw of the sights, you can enter your holiday dates and then use the filters beside your hotel search results to find somewhere to stay near the area's attractions such as Petronas Twin Towers, Petaling Street and Merdeka Square. 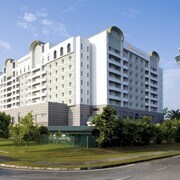 You can choose among 2042 Kuala Lumpur hotels and accommodation options to find a place to stay. 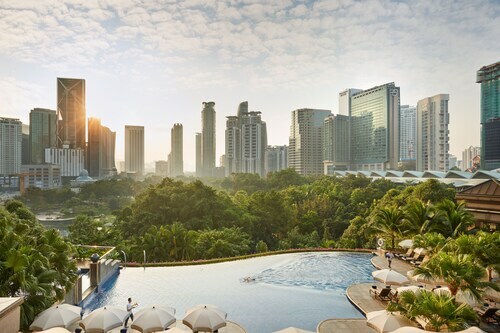 When you're thinking about where to stay in Kuala Lumpur, you'll be able to quickly and easily search ebookers for hotels that offer services such as high-speed Internet, a swimming pool or free airport transport. You can take advantage of the filters to narrow down your search for accommodation, so you get the services that are important to you, such as an in-room kitchen or air conditioning. When arranging your Kuala Lumpur getaway, you can also use ebookers to find a convenient flight to Subang (SZB-Sultan Abdul Aziz Shah) Airport. You can narrow down your search by number of stops, airline or departure time to identify one that'll meet your needs. When is the Best Time to Explore Kuala Lumpur? If you're curious when is the best time of year to travel to Kuala Lumpur, you might find this info about seasonal weather helpful when you are organising your getaway. The warmest months in Kuala Lumpur are typically March and February, whereas the coldest months are usually February and January. The months with the most rain are April and November, whereas July and February have the least. From January to March, the average daytime temperature is 33°C and at night it is 22°C. Seasonal average rainfall is 17 mm. If you visit between April and June, you can expect an average temp of 33°C during the day and 23°C at night. Average rainfall during this season is 22 mm. The daytime average temp from July to September is 32°C and the nighttime average is 23°C. Average precipitation for this season is 16 mm. Between October and December, the average temp during the day is 31°C and 23°C at night. Seasonal average rain is 25 mm. The average annual rainfall in Kuala Lumpur is 80 mm. Aufmerksamer Aufenthalt und Empfang. Auch wenn ich um 1 uhr morgens eingecheckt habe. Still a nice good quality hotel despite showing its age in some areas. Biggest disappointment was the breakfast service, decent choices and plenty of staff but they seem uninterested in looking after customers.. The location is good and the staff are pleasant. Breakfast is up there with the worst I've ever had in a large city centre hotel, poor selection, cold, terrible coffee, and the pastries appear to have been put out a couple of years ago and forgotten, so they're fairly 'chewy' Rooms are a decent size and you get everything you need, except a decent pillow, but that's just my preference. All in all, not bad, about right for the price I guess. Would stay again..
A fine hotel especially for the price. Cleanliness and quality if the room was exceptional. Staff were friendly and helpful. Hotel restaurant was of high quality and reasonably priced. 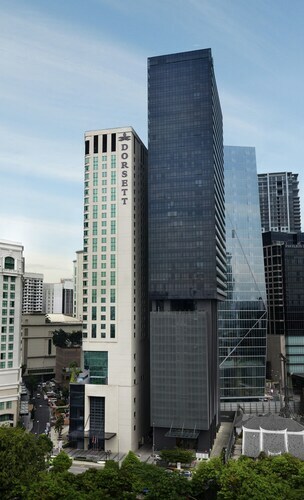 location wise its 10 min walk to the train and 20 min walk to the Petronas Towers. I would recommend. Booked this hotel as I went on my honeymoon and was recommended this hotel. Staff were pleasant upon check in and check in was ok. Requested the hotel if they good do anything extra as I was on honeymoon when booking this hotel. Got to our room on the 15th floor and the view we got out of the window was basically construction as there was a lot of building work going on outside. The windows were sealed shut so we couldn't open them. They were also filthy due to the dust from the work going on outside.